Customer Experience | What More Can There Be? What role does good education play in great customer service? The tools for learning, the so called 3Rs of reading, writing and arithmetic, are cornerstones of education systems across the globe. Tried, tested and mastered by most young people, each of course plays an important role in any customer interaction. But where is the T? On a recent visit to a relative in our local hospital I decided to quench my thirst at the WRVS café. My server for the day was a bright young lady of about 16 years of age, commendably volunteering for the day to help visitors. Her greeting was exemplary. I instantly felt welcome. It was at this point warning bells sounded as I placed an order for a cup of black tea. I might have known there was an issue when my order was repeated back as a question, ‘a black tea?’ It is great when people repeat back my order to check they’ve understood, but not with an inflection at the end of the statement. This might have simply been due to the trend in modern speech to turn every sentence into a question (?). Sorry, this was an assumption on my part and I apologise for questioning my server’s grasp of the spoken word. Indeed, it was a question. After a couple of minutes doing something out of view involving a muffled discussion with her colleague she returned asking: ‘What is black tea?’ My first thought was one of joy. A young person interested in improving her product knowledge, perhaps wanting to appreciate the subtle differences between white, green, black, yellow and oolong teas. Disappointingly, ‘it’s tea without milk,’ was all she needed to know. I was gratified to find she could count the coins I presented but was left wondering. How can making tea, our national drink, have been missed off the National Curriculum? Most importantly, her customer service training had been excellent; the service I received was exemplary. There is, however, no point in creating great customer interactions by spending time, money and energy on touch-point experiences, customer feedback, building customer engagement through social media and the like, if you can’t deliver first time. Would I recommend the WRVS catering service? Absolutely. Their staff are wonderful volunteers who do great work with patients and relatives. They also, now, know how to make black tea. This entry was posted in Antics, Customer Experience on February 10, 2012 by dave5621. How often do we try to show our smartness by making simple ideas complex, when we really need is to make complex behavioural processes simple? When we interact with a customer this can be a hugely complicated process. Just try stepping into a role that you have never experienced before to understand the sheer terror of trying to ‘get it right’. I decided to put this to the test by helping out at a restaurant I part owned. Much to the amusement of the highly experienced staff, I suggested that I needed to understand the pressures they worked under so would do a few shifts. My induction quickly showed that here was a job we all took for granted, after all, we have all been to a restaurant, we all know what we want as a customer. Firstly, I had to achieve mastery over the equipment. Tills, coffee machines, dishwashers, order-taking, creating a bill, even cutlery… arghh! This is before getting to relationship building with my customers. I needed to give a great experience so they would go home bursting with praise and desperate to come back. I was the face of the restaurant; I was now responsible for the success of the business. Luckily our team realised my intention was to learn so I could help us all to make better decisions. Getting to grips with the processes was a matter of good training and practice. Transactional customer service can be mastered relatively quickly but when weidentified what a great customer experience would look like, the number of factors became unmanageable. That was until one of our super-skilled waiters simplified the complexity brilliantly. She described her approach which was to treat all customers as ‘bezzie mates’ (local vernacular for best – ‘bezzie’ friends). You want your ‘bezzie mates’ to have the best possible experience, to show off how good your restaurant is, to be proud of what you do. You know that sometimes they want a quiet experience while on other visits they want familiarity and fun. With your ‘bezzie mates’ you work hard to understand quickly how they want to be treated. The ‘bezzie mate’ test became our mantra. This entry was posted in Customer Experience on January 9, 2012 by dave5621. How often do we hear words like; ‘We work in partnership with our customers’. Welcome to yet more rhetoric. It’s as if we say it often enough, loud enough, to as many people as possible, it will become more than wishful thinking. Rarely is your customer relationship a partnership, mainly because of the contractual arrangements, self-preservation and ego that gets in the way of it becoming so. What sort of partnership do you have with your business to business customers? Are you a supplier? This means you have a contract to deliver services. When you re-tender, you and all your competitors will face the same level playing field. You will compete on price. They will all make extravagant claims about their excellent service. Are you a supplier of choice? In which case, you deliver everything in your contract, on time, on budget, to the accepted standard. When the contract is re-tendered every competitor will claim they can deliver what you have done at roughly the same price. The advantage you have is some evidence that you are up to the task. Your customer hopefully thinks; ‘better the devil we know’. Are you a partner? You deliver everything that is expected. The difference is in the way you work together to deliver. You make every effort to understand what success looks like for your partners and together to achieve this. It’s as if you share the same goals. You have become the partner of choice. How could they manage without you? These principles apply to all types of customer relationship not just business to business. Are you regarded simply as a supplier? Are you a supplier of choice? Do your customers engage with your business and choose to become involved? If you want to make partnership the reality of your customer relationship, first, accept what sort of relationship your customers perceive they have with you. Don’t believe your own rhetoric. If you want to have something different, then, identify what behaviours you need to demonstrate in order for your customers to choose to join you in a relationship which can truly be defined as a partnership. Remember if you don’t deliver to their expectations you will quickly find yourselves as ‘just another supplier’ accompanied by all of the uncertainty that comes with this status. This entry was posted in Customer Experience on December 1, 2011 by dave5621. The 3rd and final opportunity presents a far greater challenge. Once we have taken responsibility for the whole customer experience and educated our customers as to how they might benefit from the full potential of our service, we move into an area over which we might at first seem to be powerless. How can we get our customers to be good customers? How can we help them get the best out of us? Anyone who has ever faced a customer will know how some of them manage to bring out the worst in even the most accommodating of colleagues. Let’s face facts, we have all done it; been rude, aggressive, ignorant, confused, distracted, disconnected, or considered the person serving us to be incompetent. We all know how to be ‘bad’ customers. So how can we help customers become better at being ‘good’ customers so the person serving has at least a sporting chance of giving them a great experience? It can be done. When my son took to skateboarding I spent many hours as the taxi service to a local skate park. Housed in a converted warehouse and frequented by an eclectic mix of young people, it may have been draughty, apparently disorganised and mainly held together with gaffer tape, but once those customers walked through the doors their etiquette was a joy to behold. Small kids flattened or concussed would be dusted off by big kids, tricks were applauded and newbies always given a tour of the hallowed ramps and jumps. They all become great customers. So whose responsibility was it to make this happen? Most interestingly these young people had created the customer culture that they wanted, they used the facility to its fullest potential and they learned to skate in the way that suited them best. They even organised the taxi service! Influence those parts of your customer’s experience over which you have no influence? Help customers to take full benefit of your service by learning about your product in the way they prefer to learn? Help your customers become better at being ‘good’ customers? This entry was posted in Customer Experience, The Next Level on October 12, 2011 by dave5621. 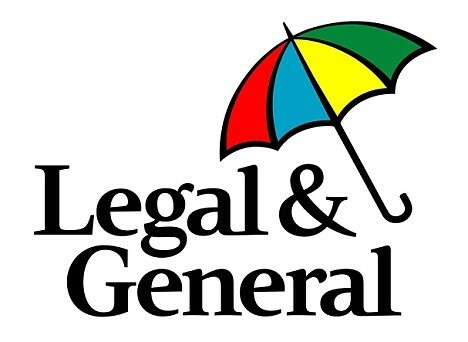 ‘Very good course which I shall recommend to others.’ – Building Emotional Engagement with Legal & General. 6th September 2011, Paradigmantics descend upon Brighton & Hove, met with torrential rain, gale force winds and news of ‘Operation Stack’ flashing on the Motorway gantries! As we arrive at Legal & General’s Hove HQ we are greeted by a plethora of their trademark multicoloured umbrellas as staff battle against the elements! Fortunately, once inside, a warm room and fresh coffee lifted our spirits as we prepared to deliver another of our ‘Engaged Customer’ Masterclasses for 17 staff from across a variety of functions within the organisation. Focusing upon the question: ‘How do we build emotional engagement with our customers?’ (Both internally as well as externally), we guided participants through an engaging and highly interactive session comprised of multimedia, facilitation, discussion and group activity. Participants were given the unique opportunity to not only learn from Paradigmantics’ expertise on achieving this ‘holy grail’ of Customer Experience, but also encouraged to share and learn from the innovations and experiences of their colleagues who have been pushing the boundaries of how they deliver for their customers. Reflecting the subject matter itself, the session is designed to emotionally engage participants which, in turn, creates a safe environment to explore new ideas, transcend organisational barriers and aspire towards something better. This entry was posted in Customer Experience, News on September 21, 2011 by dave5621. In my previous blog I took a light hearted look at the incident of my car breaking down in France. I wanted to illustrate how little we know about our customer as we make our initial greeting. They come into our sphere of influence carrying their baggage in a myriad of forms and we are expected to give them our best possible attention. In this case how did they do it? 1. I had one primary contact. Steve. I was his customer. When he was off-shift I was treated as Steve’s customer with his colleagues lending a hand. 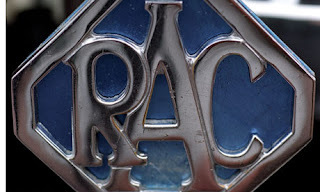 Two other RAC colleagues took up the baton on his behalf but I always felt that I was someone’s concern not just another motorist stranded at the side of a road. 3. Every interaction built a bond of trust. Phone calls were always returned when promised. Calls were made to check that other suppliers were playing their part and that I was happy with what had taken place. 4. They engaged with me brilliantly. Each person I encountered empathised with how I was feeling at the time. This takes a great deal of skill, as my demeanour changed over the four day period we were in contact. To start with I was unsure and really quite anxious; later I was calm and back in holiday mood. At each point they read the situation. 5. I had a consistent experience. Each member of the team gave me the same level of attention and care as the others. So often, organisations might have one or two great people only for one person to let the side down. 6. They delivered. The most important part of my experience was that everything that Steve and his colleagues said would happen did and to my expectations. The result, a very happy customer who is willing to talk about his experience to anyone who cares to listen. Most importantly I will buy this cover again with complete confidence. Not only did Steve and his colleagues do the job really well they have also turned this customer into an advocate and ensured future sales. What more can there be? This entry was posted in Customer Experience on August 23, 2011 by dave5621. ‘Woo-hoo!’; I’m precious and much sought after. I’ve not felt this much in demand since I owned the only football in the playground. Shop assistants grease around me and make outrageous offers: They want to be my friend on Facebook: I can be in ‘the gang’. I’m even ‘valued’ (No, not like an antique… Cheek!). And how do I feel about this adulation? I’m not bothered. You see they haven’t quite got it right. Don’t get me wrong I am a customer who is happy to engage. 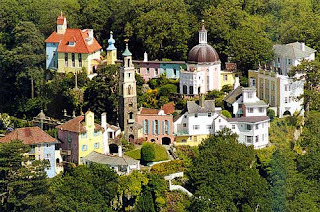 Every year I make a special effort to go to ‘The Langbury’ at Blue Anchor Bay, this has got to be the best hotel experience in the world and I’ve stayed in a lot. I recommend it to everyone and even hand out their business cards. If you want a bike then the only place to go is ‘Race Scene’ in Barnsley; my bike supplier. I get beautiful Italian cycling products from highly knowledgeable people; what more could I want? As I ride around the Peak District I’m a moving billboard, resplendent in my ‘Race Scene’ jersey, shorts, matching socks and water bottles. I’m not alone; there are lots of other cyclists pounding the local hills in similar kit. So how have I become an engaged customer? Firstly, it’s a rational thing: Can I have what I want, have it the way I want it and at a time I want it? Are they easy to do business with and in a way I prefer? Secondly, it’s emotional and this is what makes the difference and takes me from a regular customer to an engaged customer. How much do I identify with the company; do they share my values? Do they know me and value me, not only as a customer but as an individual? Do they welcome my opinion and make it possible for me to have my say? Some organisations do this naturally, some try to manufacture it and fail, others work hard to become the sort of people I like. And it is worth the hard work as once I have chosen to become an engaged customer you can be assured that I will be loyal and rarely take my custom elsewhere. I will have no hesitation in recommending your services to anyone who will listen. I’m happy to give you feedback and let you know how I want to use your service, knowing that you will listen and will accommodate my whims as far as you can. Your organisation is mine, part of my lifestyle, part of my identity. Who knows, I might even go as far as showing my devotion by getting your logo as a tattoo. 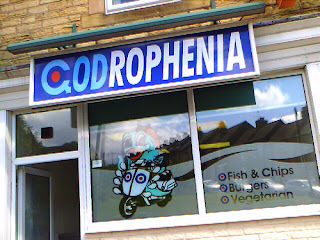 Yes, that’s how much I love ‘Codrophenia’, my local chip shop! This entry was posted in Customer Experience on June 14, 2011 by dave5621. My car is very clever in helping me look after it’s every need with interesting bleeps and flashing indicator lights. In this way I can put in fuel before we grind to a halt, top up with oil, fill the washer and organise a service. We are both happy with the arrangement. It works well. However it seems that this isn’t enough. All of a sudden the garage has discovered customer experience. 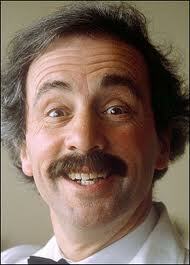 When we arrived in the service centre car park we were met by no lesser figure than the manager. He wished me a pleasant day and pointed towards the reception area. He was being slightly too friendly. Rather different from the last time I clapped eyes on his sharp suit when he offered me peanuts in part exchange for my old vehicle. The receptionist was brilliant, but then again, she always has been. I left for home to wait for the mechanics to do their job. As usual I received a phone call to tell me that my brake pads were 30% worn and other stuff which would cost £3000 to put right, including £30 to unblock a windscreen washer pipe. All of which I respectfully declined. When I returned to collect my car it seems that under the new ‘customer experience’ regime taking my money was no longer enough. I was urged by the manager to follow them on Twitter and join their ’Facebook’ community if I was really to have the best possible experience. Not long after I received an SMS text inviting me down to the showroom to have a ‘special’ chat with their salesperson about a new car model. Soon to be followed by a courtesy phone call asking if I was still OK because at my last car service there was a blocked windscreen washer pipe that I declined to have fixed; touching concern for my safety. Why do I feel these are just marketing ploys? How come I’m left thinking these are not genuine invitations to become involved? What makes me feel like this is a new bandwagon which has my cash at heart and not my welfare? The Manager doesn’t get it. He sees this effort as a sales tactic to ‘make’ me a loyal customer. 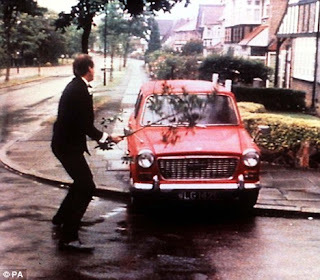 I was engaged by a genuine, skilled receptionist and my clever car. Now I go to ‘my’ Kwik Fit for a better deal on servicing and parts, and really genuine, honest people, who are interested in tyres and shock absorbers, not Twittering about it. This entry was posted in Customer Experience on June 7, 2011 by dave5621.